In my previous articles i have given the idea about the resume writing techniques for PL SQL developer. In this article i will explain the roles and responsibilities of SQL developer with sample SQL Developer Resume. 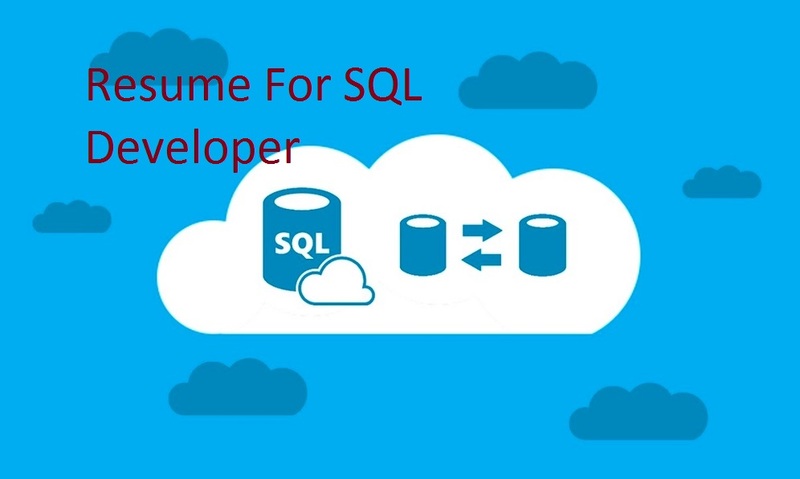 The SQL Developer Resume gives you idea of different sql developer roles and day to day activities.I have already given different SQL developer interview questions but i have not specify the daily activities of SQL Developer. 1. SQL Developers are responsible to support the applications from back end side. 3.Convert the Business Requirements to actual application using complex sql queries. 4.Data validation on daily basis. 6.Unit testing of application after issue fixing. 7.Use different strategies of database development to meet the client functional requirement. Only writing above statement in SQL developer resume will not work.Let me give you example which will clarify the statement.If Customer wants to fetch the records from customer table then user needs to write procedure which will include explicit cursor.These are different strategies of database development. 8.Write SQL as well as T-SQL Codes to fulfill the customer requirement. 9.Create different kinds of appropriate indexes and use indexing techniques to improve the application performance. 10.Write different T-SQL codes,Stored Procedures,User defined functions to fulfill the customer need. 11.Do daily data consolidation activities based on the customer requirements. 12.Responsible for data migration activities as well as data loading activities using SQL server. 13.Interacting with clients on daily basis to understand the requirements of the project. 14.Ability to write very complex sql queries as well as views for fulfilling the reporting requirements of customer. 15.Customizing the reports and applications with using SQL server techniques. 16.Change the business logic and implement it in the application using SQL server techniques. 18.Can assist in developing and implementing new technologies. 19.Support all day to day activities related to database like data consolidation,data migration scripting. 20.Creating complex views,materialized views on multiple table as per customer requirement. 21.Used SQL Tables, Cursors to process huge volumes of data and used bulk collect for mass update as performance improvement process. These are above some important roles and responsibilities of SQL developer which user can add in SQL developer resume.But this will only add the wattage in to SQL Developer Resume. If you really want to improve your sql skills first you need to do handwork towards improving the SQL skills and then add the bullet points given above in your SQL Developer Resume.Hope you like this article on SQL developer resume. If you like this article or if you have any concerns with this application kindly comment it in comments section.